Cute cookies! A great Halloween treat. Lucky nieces you have, Lisa. "Pumpkin spice everything" is right... welcome to fall! LOL, love your opening for this blog. 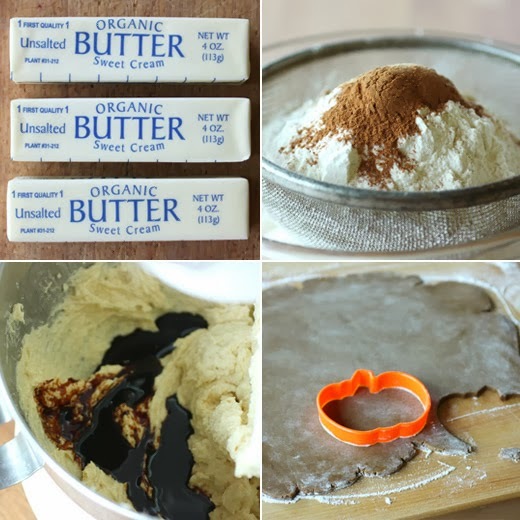 I just posted pumpkin spice cake cookies (very unlike me) so I had just jumped on that wagon right before you. 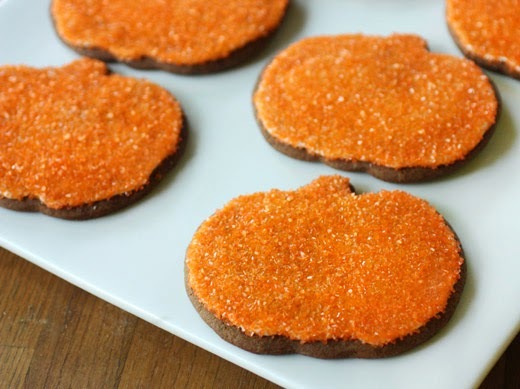 So far, I resisted the pumpkin call, but I do enjoy reading all the orange posts around, and your cookies are lovely! I love it at this time of the year when we all go pumpkin mad! Lovely cookies - so perfect for the season. Thanks. Saw your photo on this link after googling pumpkin spice! OMG, soooo yummy looking! These cookies are so cute. First I thought they are made with pumpkin cause of their gorgeous color and was quite surprise that the color is only for deco. I am trying to fall in love with cookie and cake decorating. I am so bad at it, that's why I never post decorated cakes only ganache. Really stunning Lisa. They are so perfect. They actually look like pumpkins! Well, it had to happen one of these days! You can only resist the pumpkin spice pull for so long. And these cookies are so cute! I think I'd buy pumpkin spice toothpaste! Your cookies look marvelous Lisa. I'm not too sure about Pumpkin Spice Toothpaste but I sure wouldn't mind one or two of those cookies, Lisa. You did a wonderful job decorating them. So festive! Your cookies look amazing. I'm sure your nieces loved them! 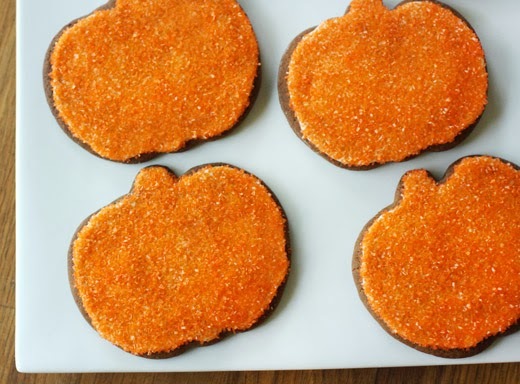 I haven't jumped on the pumpkin spice bandwagon yet, but these cookies look too cute to pass up.